Well, you did it. 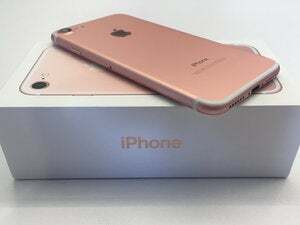 You got a shiny new iPhone 8 or 8 Plus. Nice! Before you head out to take a squillion photos or plop it down on your new wireless charging pad, there are a few housekeeping details you should tend to first. When the backup is done, connect your new iPhone 8, then tell iTunes you want to restore from the backup you just made. Later, you can switch back to iCloud backups if you prefer, in Settings > iCloud > Backup. But it never hurts to run a backup on your own Mac every now and then. For an iCloud backup: No need to connect your iPhone to your Mac. Just launch Settings and tap on your Apple ID profile listing at the top, then go to iCloud > iCloud Backup and select Back up now. When setting up your new iPhone 8, you can restore your iPhone from this backup once you’ve logged into your new device with your Apple ID. If you happen to be coming from an Android phone (hey, welcome to the garden! ), there’s a Move from iOS Android app that can assist you with setting up your Google account data in Mail, Calendars, and Contacts, moving your camera roll over, even transferring your Chrome bookmarks to Safari. There are a few remaining steps to finish up the setup process. You’ll enter your iCloud account password, along with a second security code if you’re using two-factor authentication on said iCloud account. Then you’ll agree to the iCloud terms and conditions, and set up how people can reach you over iMessage and FaceTime. Yes, you should use Touch ID for maximum security—it’s the quickest way to unlock your iPhone, and will let you set a more complicated passcode, since you don’t have to type it in every time. So you should take the few moments to repeatedly press a finger on the Home button to register it. If you trust another human to unlock your phone, you can add their finger (or more of your own digits) by going to Settings > Touch ID & Passcode. The iPhone 7 introduced a new Home button, and the iPhone 8 has it, too. Now it’s not a separate cut-out button that moves down when you press it. It’s completely fused with the rest of the iPhone’s chin, so it no longer physically moves up and down. You can still find it with your thumb thanks to the metal Touch ID ring that surrounds it. When you press the Home button, however, you’ll still feel a vibration from the Taptic Engine, so it feels like you’re clicking. iOS 11 offers three click “feels” you can choose from. 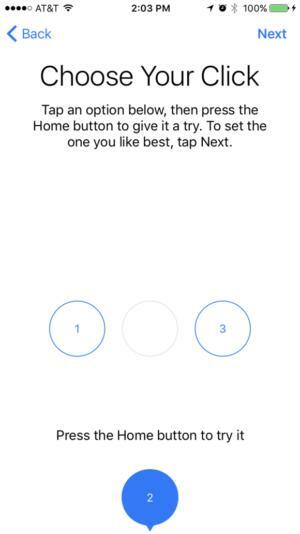 On this screen, tap the 1, the 2, or the 3, and then press the Home button to feel the difference between those clicks. Pick the one you like the best, and then tap Next at the top-right. If you want to change it up later, just visit Settings > General > Home Button. Great, now you should be on your home screen at last. 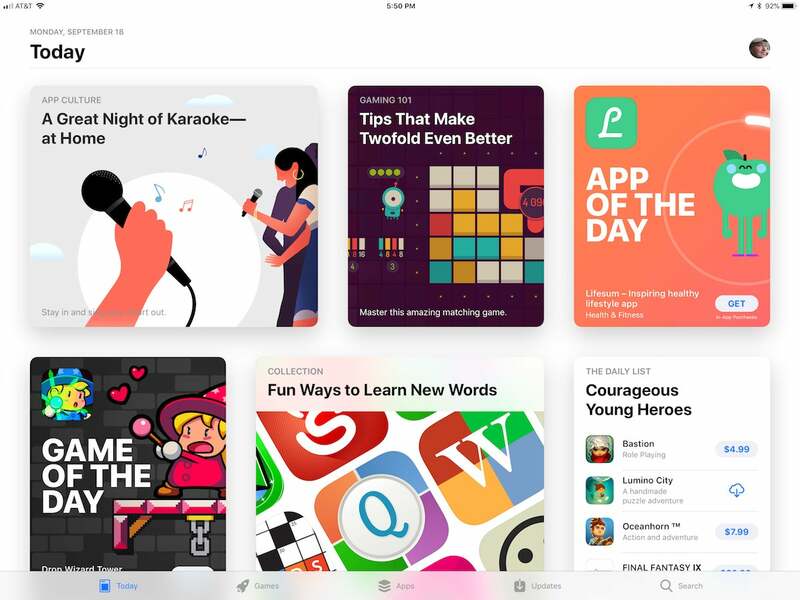 Hit up the App Store first—you’ll want the latest versions of all of your apps in order to take advantage of all the new abilities Apple has given developers in iOS 11. While you’re there, check out the App Store’s new iOS 11 redesign. You’ll find collections of cool apps curated in magazine-style articles, interviews with up and coming app developers, game trailers, and more goodies over in the Today section. This changes, er, daily, so you can come back tomorrow to see what else is new. If you use an Apple Watch (or maybe you just bought a brand new Apple Watch Series 3 today, too—yay!) you’ll need to pair it to your new iPhone to keep the Activity data flowing to your Health database, and keep your new phone’s notifications flowing to your watch. First you have to unpair your watch from your old iPhone, either in the Apple Watch app on your old iPhone (tap your watch, then the “i” icon, then Unpair Apple Watch, then enter your iCloud password when prompted), or on the watch itself (Settings > General > Reset). 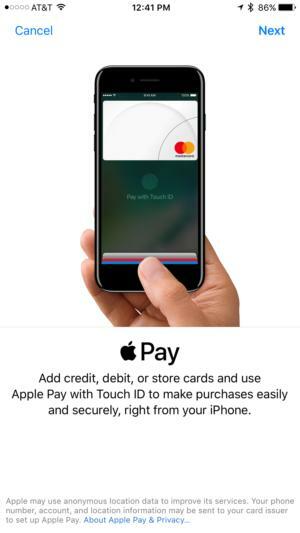 Then, launch the Apple Watch app on your new iPhone 8, which will walk you through the pairing process including setting a passcode, unlocking behavior, and Apple Pay. You need iOS 11 to upgrade your watch to watchOS 4, which we definitely recommend—read more about watchOS 4 here. To upgrade, your Apple Watch needs to be connected to its charger, in range of your iPhone, and at least 50 percent charged. Then look for the Software Update option in the Apple Watch app. If you snagged yourself an iPhone 8 Plus, you’ve got the most advanced iPhone camera ever in your hot little hand, and you’re probably going to want to put it through its paces. Spec wise, it’s very similar to the iPhone 7 Plus, but the iPhone 8 Plus camera packs a faster sensor, deeper pixels, and a new color filter. Be sure to test the zoom feature, which switches between the wide angle camera (1x) and the telephoto camera (2x) when you tap the 2x or 1x button right above the shutter button. You’ll also want to check out the perfectly-highlighting Portrait Lighting mode that Apple previewed at the September event. It’s in beta, but you can still give it a shot (har har). Just launch the Camera app and select Portrait from your camera modes at the bottom of the screen, and then toggle through the different lighting options. Portrait Lighting will take your iPhone 8 Plus portrait shots to the next level. 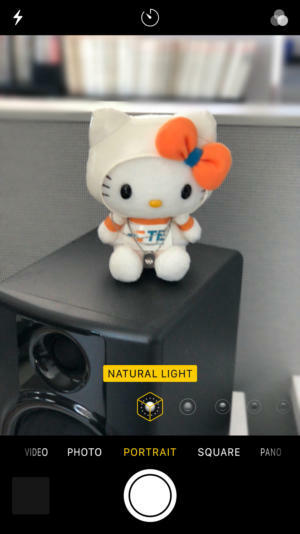 Hello Kitty agrees. The iPhone 8 camera is nothing to sneeze at! It’s very close to the iPhone 7’s camera—12 megapixels, with better low-light performance. Take some photos in a dark setting and in bright outdoor conditions, and they should both have more detail. 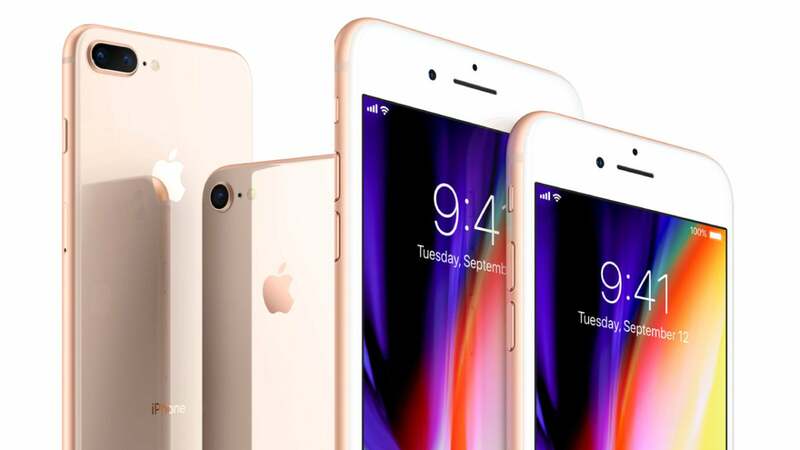 Be sure to snap a few shots of the brightest colors you can find—a flower garden, for example—to admire the true, vibrant colors on the iPhone 8’s True Tone Retina HD display, which has a wider color gamut than ever before. iOS 11 introduces some fun new additions to the Live Photo feature, and if your last iPhone didn’t have Live Photos at all, you should definitely check it out. In the Camera app, turn on Live Photos by tapping the little icon that looks like a firework, in the middle of the top toolbar when you’re in regular Photo mode. It’ll glow yellow when it’s enabled. Then when you take a photo, the iPhone will capture 1.5 seconds of video before and after it, so hold the phone steady for best results. To see your Live Photos in action, you’ll find them among your regular photos in the Photos app. When you swipe through your pics, the Live Photo animation will show for a split second, and then stop. To see the whole thing, 3D Touch on the Photo by pressing firmly and holding on the pic. From here, you can crop them, add a filter, adjust colors and lighting, or even use the magic-wand auto-adjuster at the top-right. You can also trim your Live Photo for time, which is new in iOS 11. In iOS 11, you have three new Live Photo effects to check out—Loop, Bounce, and Long Exposure. 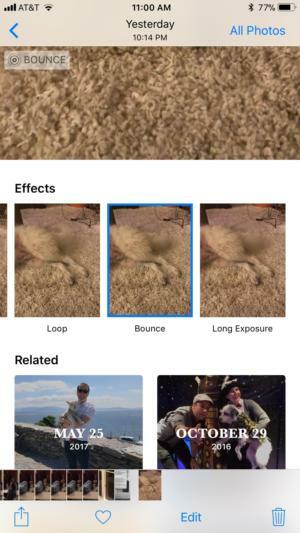 You can find these options by selecting the Live Photo you’d like to edit and then swiping up from the center of the screen. You can see a preview of each effect by swiping horizontally through each option: Loop replays your Live Photo in an instant loop, Bounce plays it forward and then reverses it (much like Instagram’s Boomerang effect), and Long Exposure gives you a still shot that captures motion. You can switch between these effects as often as you’d like. Control Center is one of the biggest changes in iOS 11. Instead of spreading your utilities out over three sliding pages, Apple condensed them into one screen with a uniform-looking set of icons. You still access it the same way—just swipe up from the bottom of your Home screen. 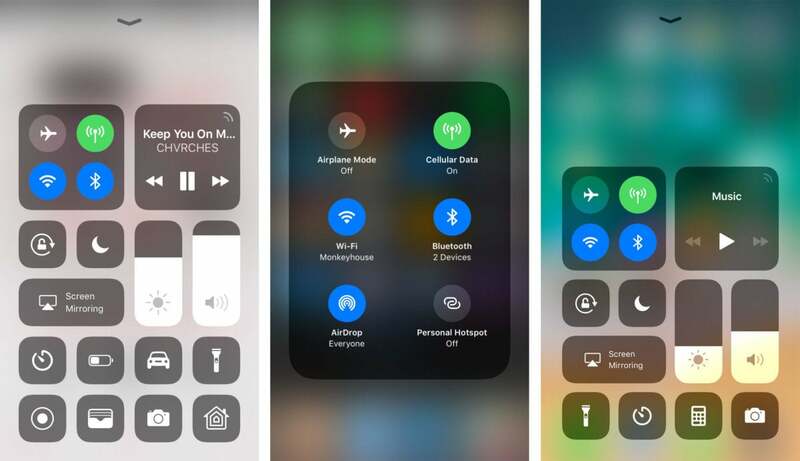 Apple’s default Control Center utilities include your camera, flashlight, calculator, and alarm clock; you’ll also find two sliding controls for your volume and screen brightness, plus toggles for rotation screen lock, Do Not Disturb, screen mirroring, and all of your wireless controls (like Bluetooth, Wi-Fi, and Airplane Mode). There’s a reason your new iPhone 8 has that shiny glass back, and that’s not because it’s a throwback to the iPhone 4. No, that glass back is for wireless charging support. 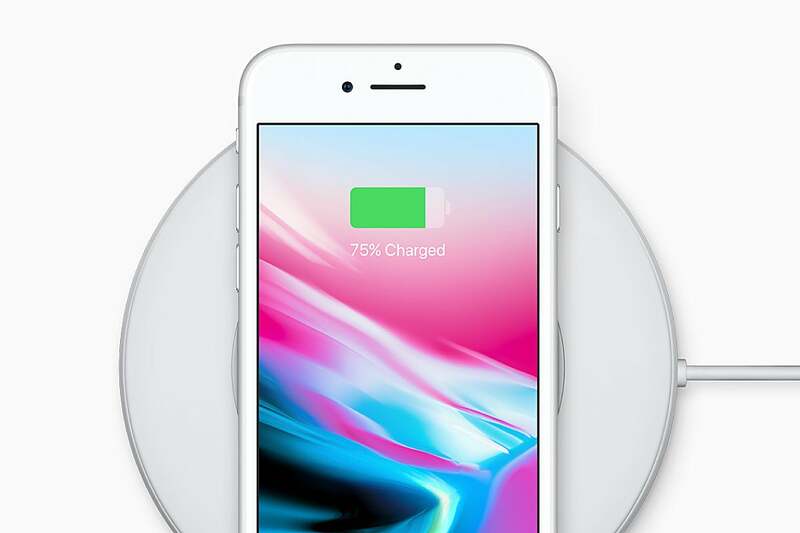 To use this feature, you’ll need a compatible wireless charging pad that utilizes the Qi standard (Apple sells two—one from Belkin and one from Mophie). If you have one of those laying around, all you have to do is set your iPhone onto the pad and watch it start to power up. Say goodbye to the jumble of Lightning cables on your bedside table! You can learn more about wireless charging on the iPhone 8 by reading our guide. Of course, you can charge your iPhone 8 via Lightning if you want to—in fact, this still might be the fastest way to charge your phone… for now, at least.